This mod alters ambient music played during exploration/dungeons/etc., changing it to the iconic tracks from Fallout 1&2. Note that this mod does not replace any default soundfiles, it adds its own unique music entries and makes changes to the playlists for generic locations. I wasn't a big fan of Inon Zurs rendition of the Fallout soundtrack and felt like it didn't quite live up to the glory of the Classics; So i made this. yay. For all fans of the original, those that were missing that certain "Fallout feeling" and everyone that wants to try something different. 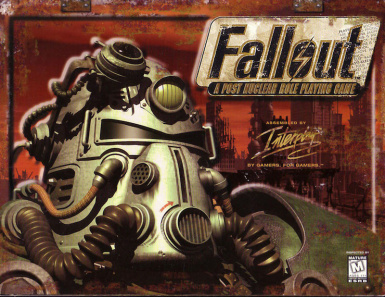 Specifically you will hear Fallout 1 and 2 music while exploring the wasteland instead of fallout 4's default tracks. I've tried to choose tracks fitting the overall mood of the setting (for example urban areas have slightly different songs then the general wasteland, which are different from dungeons and so on). Audio level on all songs has been normalized to fit in with the default fallout 4 soundscape. Note that combat music, special tracks occurring during scripted sequences and songs playing at certain points in the Main Quest have been left untouched, this mod only affects the generic ambient music.